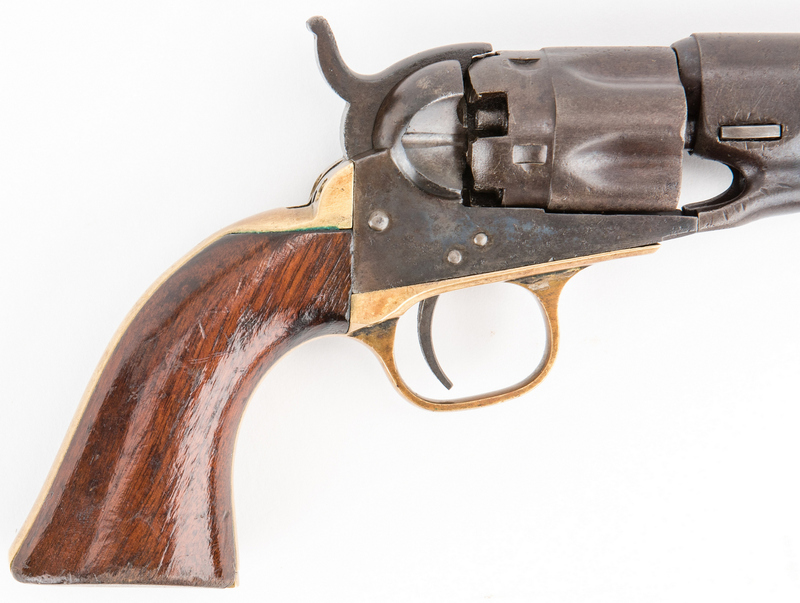 Civil War era Colt Model 1862 Police Revolver, .36 caliber, serial number 27120, all visible serial numbers matching including wedge. 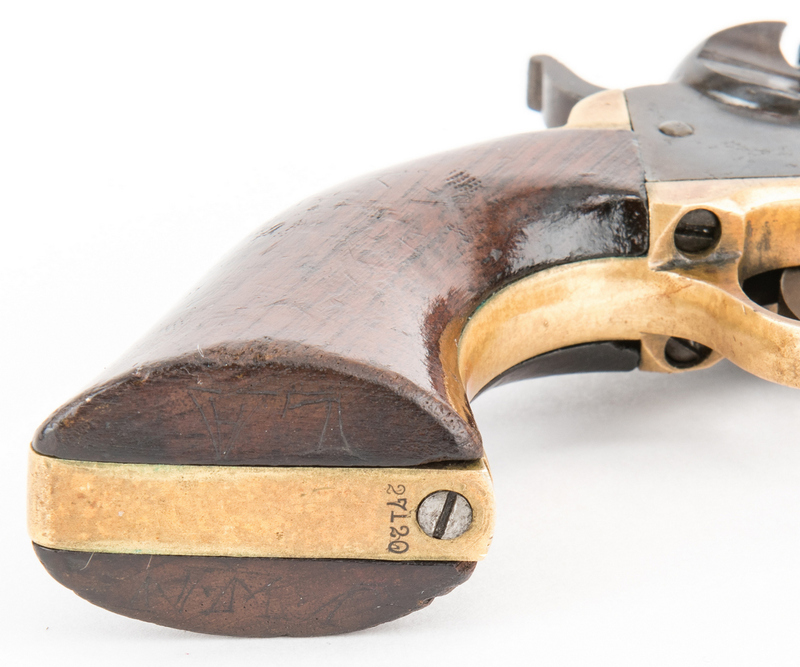 Top of barrel with partially obscured marks "…New-York U.S. America", top left side of trigger guard marked "36 CAL". 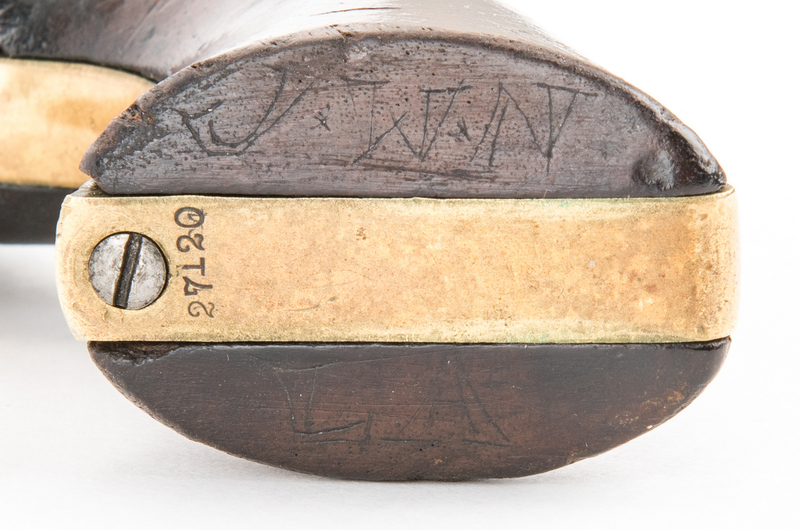 Faintly carved initials on the underside of the grips "JWN" and "LA". 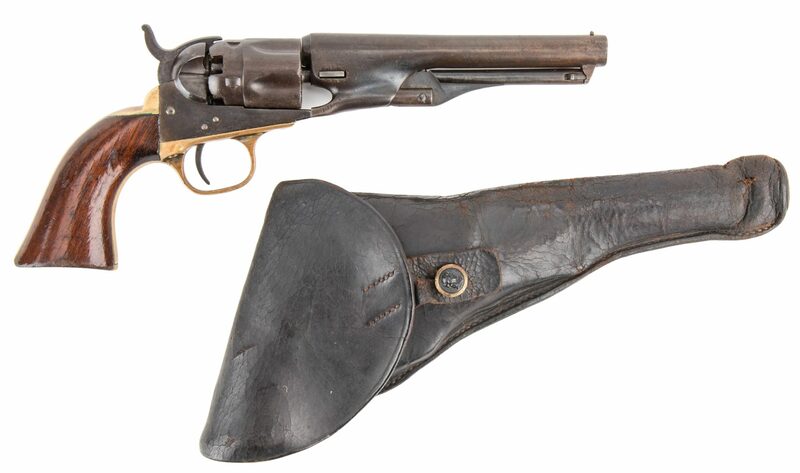 Walnut stocks, round barrel, brass trigger guard and back strap, iron mounted, checkered hammer, standard front sight, loading lever. Includes a black leather holster with stitched belt strap. 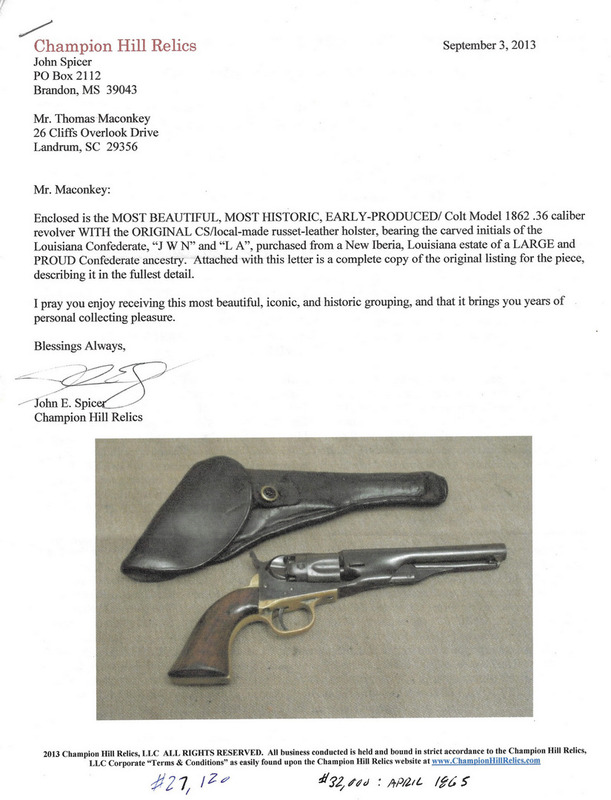 Includes letter to consignor from John Spicer, Champion Hill Relics, September 3, 2013, about item with sale record. 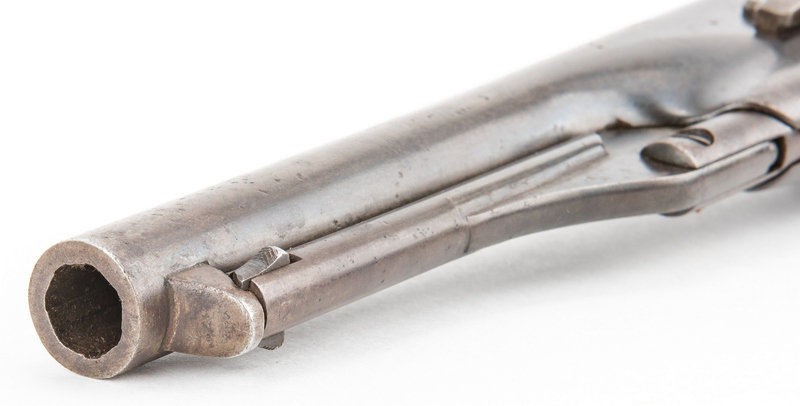 Barrel length – 5 1/2". Overall length – 10 1/2". 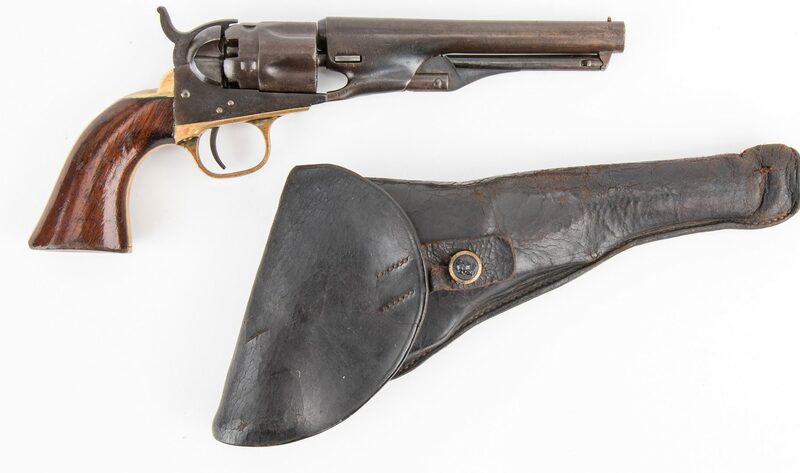 Holster – 9 1/2" H x 5 1/2" W x 1 1/2" D. Serial number corresponds to year 1864. 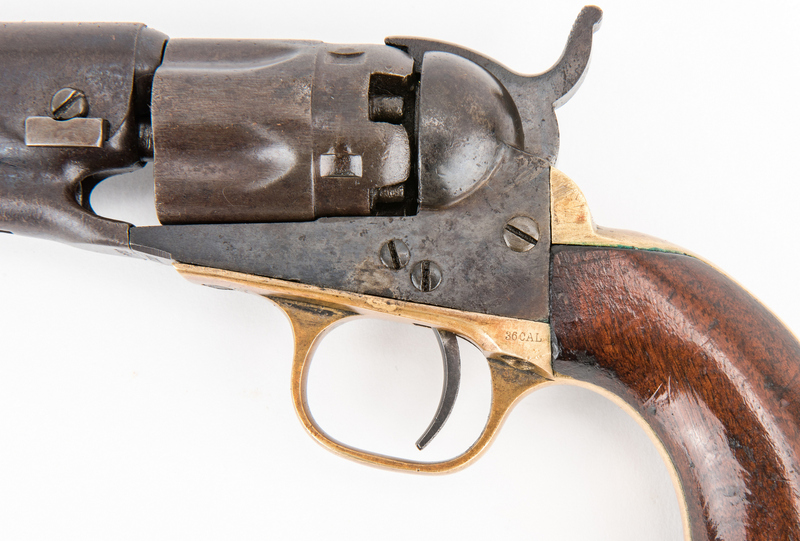 Provenance: Revolver came from an estate in New Iberia, Louisiana. Purchased from John Spicer, Champion Hill Relics. Estate of Jim Maconkey, Landrum, SC. CONDITION: Action is excellent. Dark untouched patina. Small amount of silver remaining in protected areas of trigger guard. 75% of varnish present to stocks. 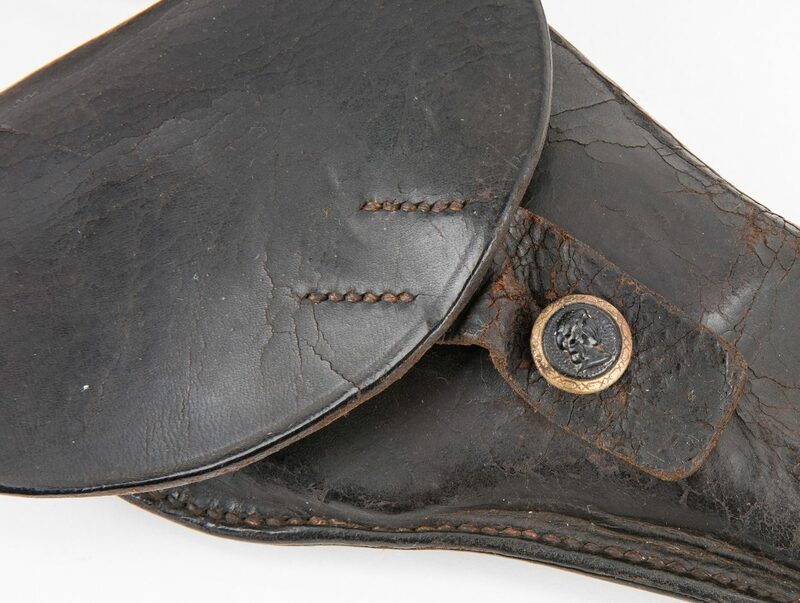 The holster originally had an over the shoulder strap that has been removed.